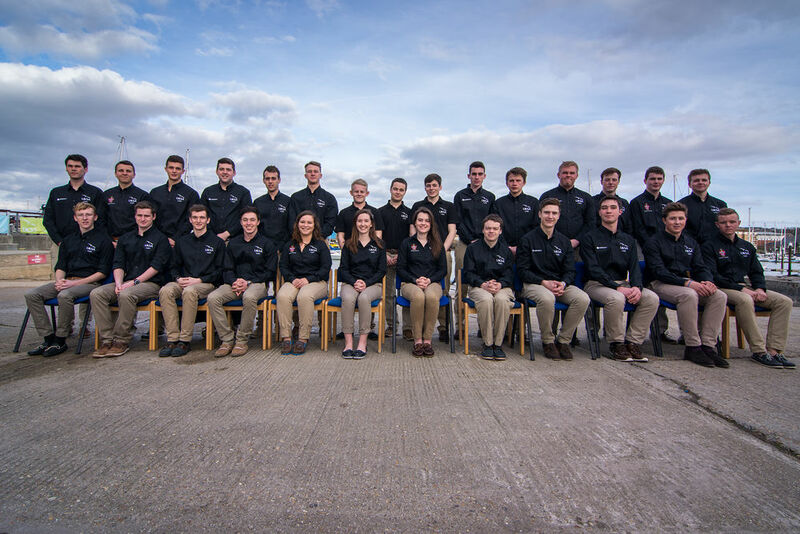 Work placements on superyachts beckon for UKSA’s Superyacht Cadets who graduated from the first phase of their training last week. An awards ceremony was held to give the 29 cadets a send-off and hand out the certificates they have accumulated so far, including their RYA Yachtmaster. The Cadetship Ceremony was attended by proud parents and maritime industry professionals. 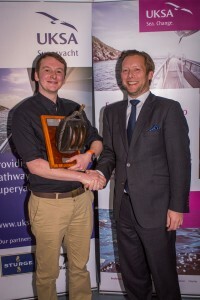 The Cadets started UKSA’s flagship Superyacht Cadetship four-year course in October. 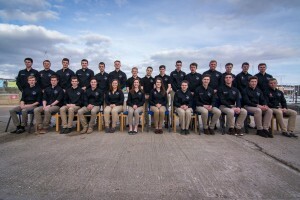 It is a finely structured career course which combines phases of training with paid work placements on superyachts, and includes a Foundation Degree in Operational Yacht Science delivered in conjunction with Falmouth Marine School, validated by the University of Plymouth, and available to apply for through UCAS. Among the main awards were: Best Crew: Vertigo – Tory Armstrong, Jack Dykes, Charlie Turner, Toby MacDonald and Jamie Guerriero. Captain’s Family Office Top Cadet: Dan Marks. Top Academic Cadet: Daniel Snook. Special Academic Awards: Tory Armstrong, Charlie Turner, Charlie Waltho. Photo shows Captain’s Family Office Top Cadet Dan Marks with Captain’s Family Office’s Mark Upton. Some of the cadets have already secured work placements, including Ashley Redwood, Jaime Guerriero, Sam Sherry, Rowena Macqueen and Drew Harrison. A new bursary scheme was recently launched to help aspiring young seafarers access the Cadetship. UKSA, in conjunction with The Trinity House Maritime Charity, launched The Superyacht Cadetship Bursary to help young people who have the potential but not necessarily the funds to access the training. There is one Cadetship intake each year, in October. There is a selection process at various points throughout the year.